Thursday’s football game at MCH Arena pits together Midtjylland and Malmo, the two teams who are determined to book their place in the Europa League group stages. Midtjylland did well to come from two goals behind and share the spoils with Malmo at Swedbank Stadion and they are now on a quest to defend their “slim lead” in front of home fans. Midtjylland have been scoring goals for fun of late, especially when playing on home soil and that is probably the main reason why we are tempted to put our money on the hosts. 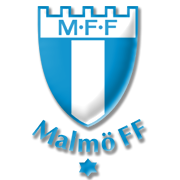 Malmo, on the other hand, must be low on confidence following the 2-2 draw in the return leg, therefore, we do not believe that they are capable of spoiling Midtjylland’s party at MCH Arena. Yet another high-scoring affair is on the cards, but we are tempted to put our money on the hosts this time out. Son to an Ukraininian-born artist Segei Sviatchenko, the 24-year-old defender Erik joined Celtic in January 2016. His transition to the Scottish giants have been alleviated by Celtic’s signing of his girlfriend Rudmose, who signed for The Bhoys women’s team in February this year. Erik Sviatchenko began his professional career at FC Midtjylland in 2009, where he had been a starter in almost all of his appearances for the club. Key player for Midtjylland, Sviatchenko helped them to Danish title in 2014-15 as we as in securing progression to the last 32 stage of the UEFA Europa League the following season. After seven years at the Danish side, Sviatchenko moved to Celtic on a four-year deal. He has so far made 14 league appearances for Celtic, but still got the chance to wear the captain’s armband in May. Due to dual citizenship Erik Sviatchenko was eligible to play for Ukraine, but he agreed to a call-upfor the Danish national team in 2015. He has so far earned only five caps for his country.